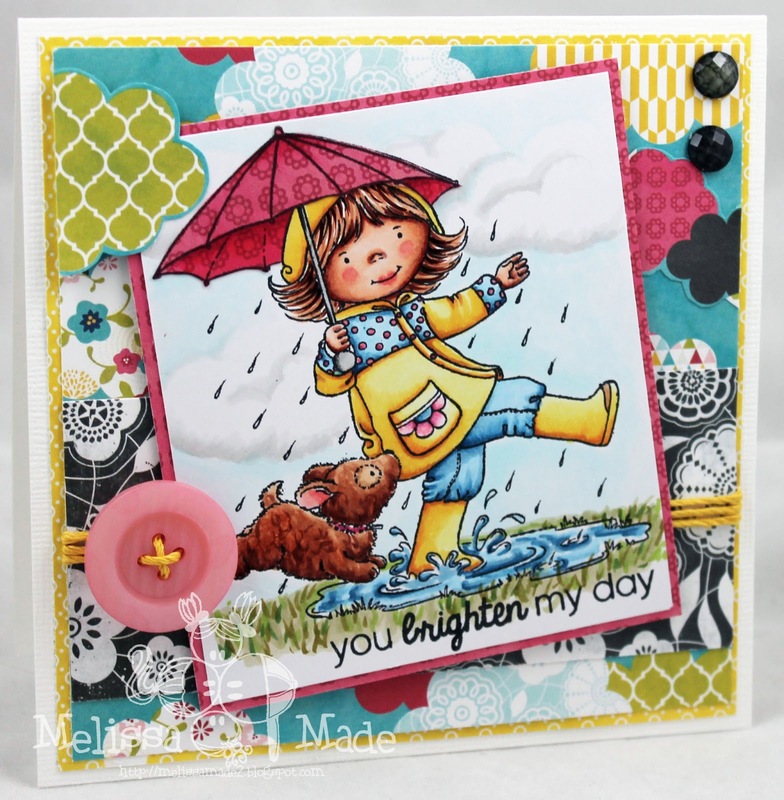 Melissa Made: You Brighten my Day! Hi ya everyone! Today, I'm sharing this bright and cheerful creation using the adorable Gill Roberts stamp from SP and Company called Puddles. I colored her in my Copics and used the beautiful paper from Echo Park called Here & Now by Lori Whitlock. The button is also from SP and Company and is in the fabulous Flamingo Pink color. On a side note. The stamps you get from SP and Company are such an awesome high quality stamp! I love them as they stamp so well and that's often hard to find with clear stamps. ahhhhh, the cuteness!! I just ordered those papers yesterday because I LOVE the colors and just had to have them!! :0 ;) :) :) Such a great card!! This is so cute Melissa!